That story is ably told in a book published in 2011 by Richard Martin, entitled Super Fuel. Martin details the long battle between the demanding and acerbic Admiral Hyman Rickover, who wanted nuclear engines based on known technology right now to propel his fleet of submarines, and the gentle visionary Alvin Weinberg, longtime director of Oak Ridge National Laboratory, who envisioned a nationwide fleet of thorium-powered electric plants, using molten fluoride salts as moderator and coolant. From 1965 to 1969, however, Weinberg’s molten salt reactor experiment had operated successfully, in the later months with thorium-derived U-233 fuel. By 1973, with Weinberg gone, molten salt was rejected, and thorium was dead. Rickover’s uranium-based industrial empire was preserved. Any cheaper, safer and environment-friendly alternative was shelved. 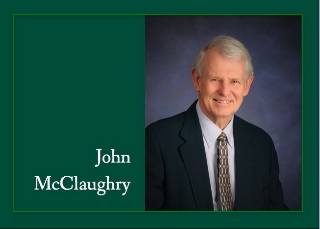 – John McClaughry, formerly a nuclear reactor physicist, is vice president of the Ethan Allen Institute. First off, the LFTR illustrated in the schematic included in the article by John McClaughry is of the two-fluid type – where highly-enriched uranium (HEU) is used as the fuel in the core of the reactor. The use of HEU for civilian nuclear plants is strictly verboten, which clearly makes the LFTR a non-starter (The Obama administration actually wants HEU banned even for medical applications: it is currently used to produce diagnostic radioisotopes like Technetium-99m, for SPECT scans – see http://en.wikipedia.org/wiki/SPECT#Typical_SPECT_acquisition_protocols ). The four projects selected by DoE all relate to solid fuel, liquid-metal cooled reactor concepts. Likewise, DoE’s “SMR licensing technical support programme” is targeting small LWRs, including the mPower design by Babcock & Wilcox, the NuScale LWR, Westinghouse’s W-SMR, and the SMR-160 by Holtec. Here’s one way to look at it…. Great article Mr. McClaughry. Very informative. Thank you, again! I had totally forgotten whatever I used to know about thorium and am particularly delighted that maybe out of this my dentist and city hall and toothpaste manufacturers might use less fluoride if we adopt the weinberg technology. Next post: Commentary: Get Congress out of student loans!